Where your dreams really do come true! Did we forget to mention FUN? We will take you to exotic dive locations! Welcome to Scuba World, Inc. Your adventure begins here at Scuba World in Dover, Delaware! Scuba World has been training scuba divers and servicing the diving community since 1989. We have multiple instructors on staff, so we can accommodate your schedule, anytime day or night. 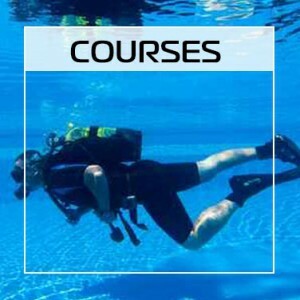 Not only do we teach scuba classes from the beginning courses all the way through instructor level courses, we lead dive trips around the world. 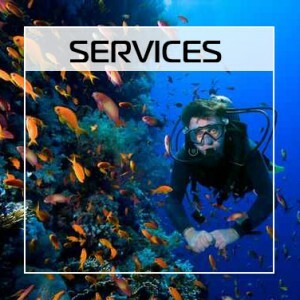 Scuba World also has a full repair room on site, and we service all makes of all dive equipment. Our retail store also carries equipment from most of the major manufactures. With fair prices and exceptional service, we hope to be your first and only choice of dive stores. So when you’re ready to make your dreams a reality, swing by the shop, or give us a call. My one stop for all my diving needs. Great instructors Darrell, Jessica, and Chip. Thank you, Scuba World, for making my IDC a great experience. The staff was knowledgable and made me feel confident and prepared. All 5's at the IE! I love the flexibility of Scuba World when scheduling my classes and pool time. With my hectic schedule, they went the extra mile to get everything finished so that I could get my Open Water certification before the end of the season. It was chilly, but we had an awesome time at Willow Springs! Thanks to the entire staff! I have made lifelong friends from those trips! Mark and I have been scuba diving since the 1990's and have gone diving several places around the world. Out of all of those dive trips, we have had the most fun and have seen some of the most amazing things while diving with Scuba World. I hope we can do another dive trip with them this March. I have dived with various places on the globe and have yet to see the experience level as with Scuba World. It is testimony to the training, work, and dedication the Scuba World staff bring to the dive site every time. I've dived with horrible outfitters and thought to myself, "Why am I not diving with Scuba World here instead of this group!?" Trust me, if you want to dive, go to Scuba World. You won't be disappointed! It was a fun weekend at Willow Springs. I would like to thank, in no particular order, Darrell, Jessica, Nick, Mark, and Bob for making the trip memorable, fun, and most importantly educational. It felt more like an organized family outing than the usual stressful checkout event. At least that how I felt. Note: Put “free burgers and hotdogs” on your brochures next time! I really appreciate your efforts in making sure my wife and daughter were safe and comfortable in a challenging environment. Are you joining us on one of our fabulous dive trips? Would you like to protect your investment? 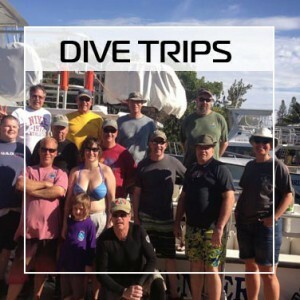 Divers Alert Network now offers TRIP INSURNACE to cover expenses in case of a cancellation of your trip. Click here to learn more or to purchase your insurance now. Are you ready to join Scuba World, Inc. for an adventure of a lifetime!?! Scuba World, Inc. will be heading to Nassau, Bahamas for a week-long liveaboard cruise with the Aquacat. For only $2,795 per diver (plus port fees), you can join us February 23 to March 2, 2019. One cabin (sleeps up to 4) available! Contact us if you are interested in learning more or to hold your spot! All divers should have a dive accident insurance policy. Your primary medical insurance may exclude scuba diving as a hazardous recreational activity and/or may not provide coverage when you are traveling out of the country. If it does provide coverage, it may pay only a minimal amount for chamber treatments. We recommend Diver’s Alert Network. Ready for your Scuba Diving dreams to come true? Ready to Dive? CLICK HERE NOW!